How satisfying it is to gather the harvest from our gardening ventures. 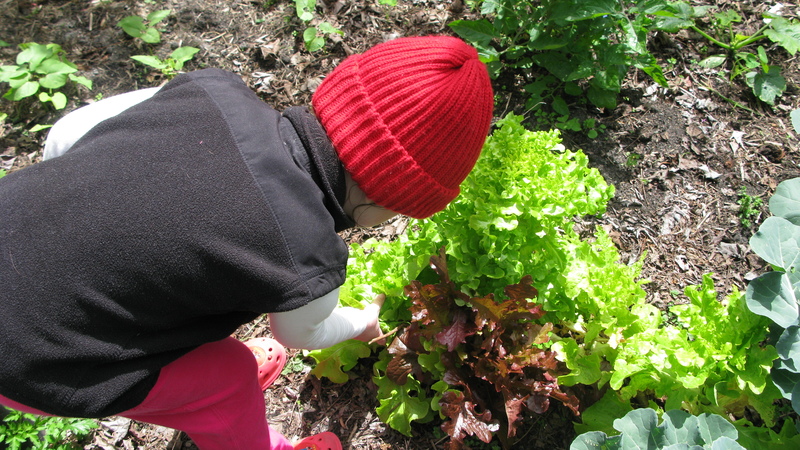 Picking lettuce to make a salad for dinner or broccoli to steam or stir-fry does seem to make the eating of green vegies more interesting for my young gardeners. While in the vegie patch I also take the opportunity to point out new shoots and the occasional worm or butterfly. Sometimes we even look for elusive, green caterpillars lurking in the broccoli. All good fun and helping to make the connection between plants and the food we eat.